The joyful reunion of two 4-H children, Leia and Caroline Carrico, with their parents after spending 44 hours lost in the Humboldt County wilderness in early March has raised awareness about the benefits to youth involved in the UC Cooperative Extension 4-H Youth Development Program. The Carrico children, ages 5 and 8, had participated in a 4-H outdoor training training program. They lived in a rural area and were well acquainted with the redwood forest surrounding their home. Recalling lessons they learned, the sisters stayed in place when they realized they were lost – a key survival skill, said Yana Valachovic, director of UC Cooperative Extension in Humboldt and Del Norte counties. 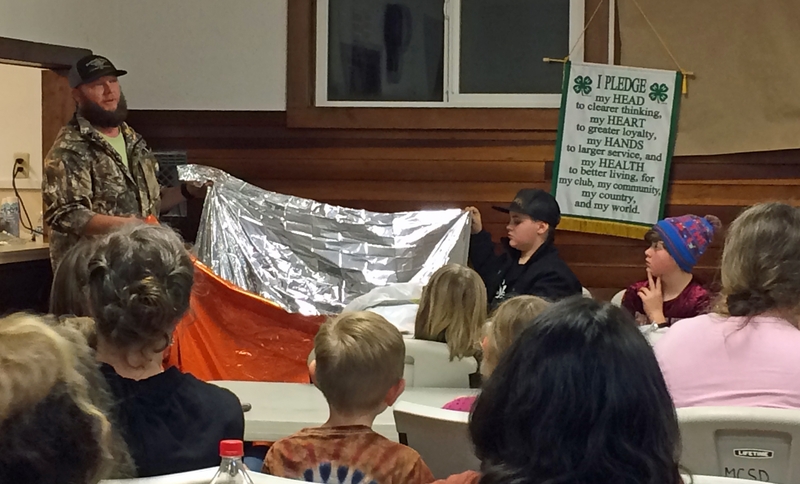 There were more things they learned from 4-H project leader Justin Lehnert's teaching that helped them survive unscathed. Justin Lehnert, left, is a volunteer with the UC Cooperative Extension 4-H Program. The sisters' odyssey and its happy conclusion shows the hoped-for result of the research-based 4-H learning model, Espinoza said.